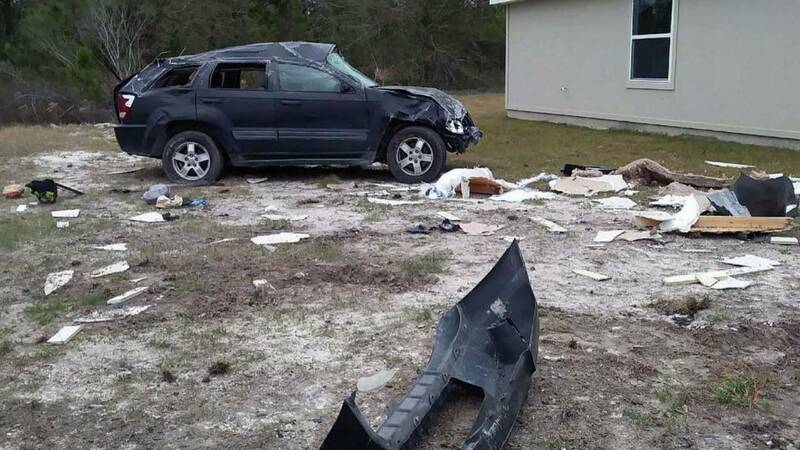 MACCLENNY, Fla. - A 15-year-old driver and two younger children riding with her are recovering after the SUV they were in crashed into the corner of a home in Macclenny on Saturday morning. 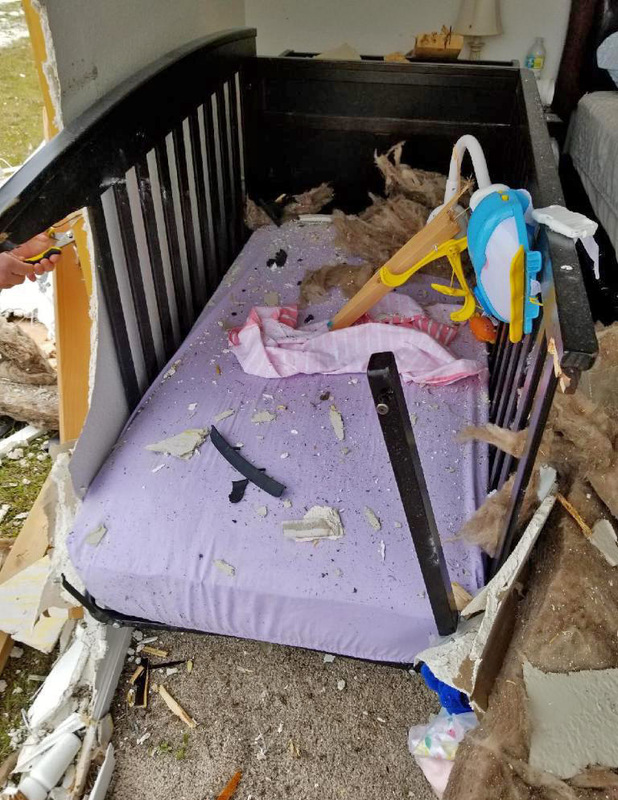 No one in the home on Islamorada Drive was injured when the Jeep Cherokee crashed through the wall of a bedroom that doubles as a baby's nursery. The mother told News4Jax she had just taken 2-month-old Gabby out of the crib seconds before the 11:30 a.m. crash. According to the Florida Highway Patrol report, the teenage girl who was driving and two 11-year-old passengers were taken to Frazier Memorial Hospital in Macclenny with minor injuries. Troopers said the driver had lost control of the SUV and overcorrected, taking out a cable box and mailbox in the home's front yard before overturning several times and crashing into the house. "I just took her out of her crib -- I mean probably not even 5, 10 seconds prior to -- and then, boom," mother Victoria Hazlewood said. "I was like, nothing but God, nothing but God." The homeowner, Judy Davis, said she ran out to see if the people in the car were hurt and found the young driver. "I consoled her, of course," Davis said. "I could see where these big blue eyes. I couldn’t do nothing but hold her." The teenage driver's father told News4Jax she took the Jeep without permission. FHP has charged her with careless driving. The FHP said Wednesday that additional charges include violations of driver's license restrictions and a seatbelt violation. The girl and her father came to the house the next day to deliver a new crib. "He knocked on my door on Sunday and he said, 'This is not any consolation to what happened, but I bought a crib,' and I was like, 'You didn’t have to do that.' He said, 'Yes I did.'" Gabby's mother said she appreciated the gesture. "I don’t hold any grudges, I am just grateful that everyone is OK," Hazlewood said.